Welcome to my site! I’m a font designer and professional lettering artist with over 25 years of experience. I specialize in hand-lettered fonts based on my own unique styles. Check them out! The classic yet whimsical style of Belluccia comes in both regular and bold weights, four different lettering styles from simple to ornate, a Pro version with 1339 glyphs and a set of decorative flourishes and ornaments that can enhance the look of any project. 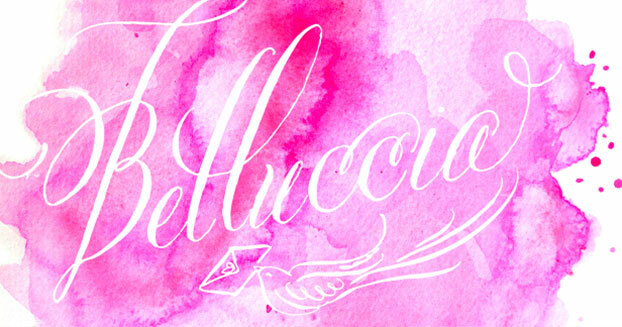 Named after my large Italian family, the unique variety of letters based is based my own fluid upright style of brush lettering. 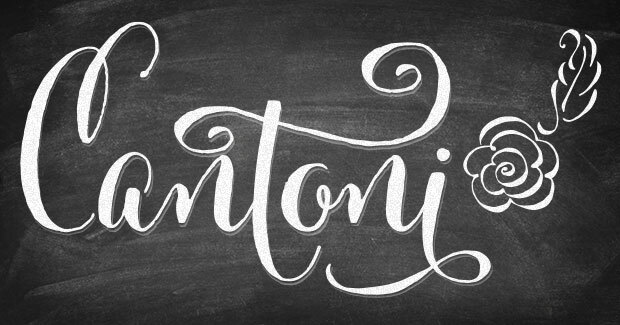 Fresh and modern, the Cantoni font family contains regular and bold weights, a Pro version with 1264 glyphs, a set of flourishes, ornaments and DIY wedding words and phrases. 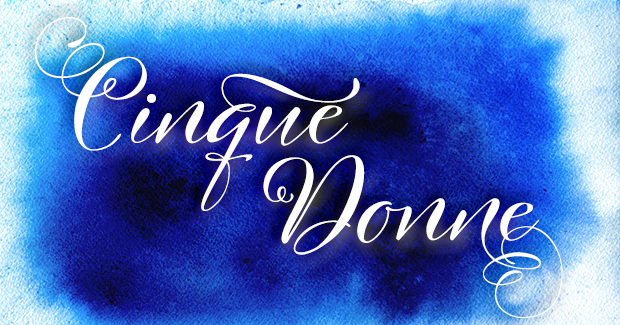 Cinque Donne is a classic, modern, original hand-lettered font with a friendly yet elegant feel. With 3370 glyphs you'll have plenty of alternate letters to play with! This beautiful hand-lettered font with a vintage, classic feel is represented by two totally different styles, a script and text, that are made to go together. The Dom Loves Mary script fonts include three different lettering styles, a Pro version with 1043 glyphs and two sets of decorative flourishes that can be added to lower and upper case letters for a more decorative look or used in combination to create a unique flourish. 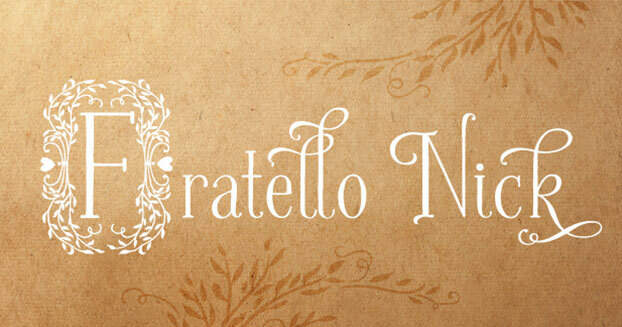 Fratello Nick is a sweet hand-lettered font inspired by my beautiful red-headed son Nick and his love of reading. The font reflects some of that storybook feel with bunnies, birds, butterflies and floral ornaments. It works on any project that is hoping to convey a light hearted, warm, authentic feel.